Let’s first discuss the difference between a detox and a cleanse. 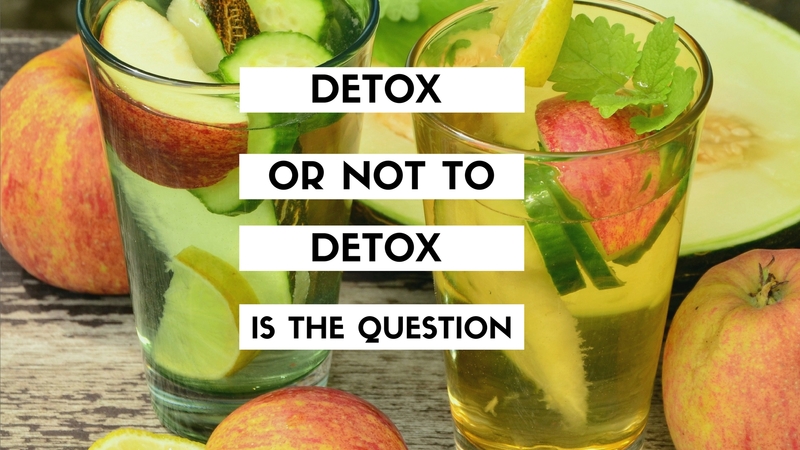 According to LESMILLS (https://www.lesmills.com/knowledge/newsfeed/detox-versus-cleanse/) “Detox refers to the liver and kidneys, and their primary function to remove harmful toxins and chemicals from the body. The goal of a detox is to enhance the body’s own detoxification pathways, while eliminating any negative effects on the body from pesticides and additives in our food.” A detox helps to eliminate the toxins stored in our body’s fat cells, increases our metabolism and helps in the process of weight loss. Toxins also affect how we burn fat naturally. The more toxins that are in our body the more difficult it is for our body to burn fat naturally. A cleanse helps to clean our digestive tract which includes the colon, from undigested foods, toxins and parasites. A cleanse is a gentler way of removing toxins from our body. Before a cleanse or a detox, you must have a plan. A plan? Yes a plan. First know why you are going to cleanse or detox your body. Second, what are you looking to get out if it? Third, how will you handle temptation? Fourth, how often will you cleanse or detox your body? Finally, after cleansing your body, what types of food do you plan on eating? There are many types of detox/cleanse products on the market now. When you choose one, read the directions carefully before buying, read the reviews, ask if someone has tried it and what their experience was during and after. One thing to remember, after you have detoxed/cleansed your body and you begin eating solid food again, your weight will go back up some. Headaches: You don’t want to take anything because it can disrupt the detox/cleanse. Use ice or massage your temples. Fatigue, weakness and lethargy: Avoid excessive physical labor and exercise. Pay attention to your body. If you begin to feel dizzy, stop what you are doing, sit down and relax until the feeling goes away. Bad breath: Floss, brush your teeth often, gargle with mouthwash and scrape your tongue. Again, always, always, always read the instructions if you are doing a product based detox/cleanse. If you aren’t looking to use a product based detox/cleanse program, there is a very easy, simple program you can follow. You can naturally detox and cleanse your body with the food you eat and what you drink. Drink plenty of water. Why is this important? Our kidneys work hard to remove waste from out body. Our kidneys remove uric and lactic acids from our body but they need a lot of water for this removal to occur. Did you know that we lose 10 cups of water a day from sweating, using the bathroom and breathing. Make sure you increase your water intake (let me drink some now). Eat vegetables (preferably organic). Fiber plays an important part of the detox/cleanse process. What type of vegetables can you eat? You can eat: artichokes, avocado, beets, broccoli (can make you gassy), cabbage, cauliflower, brussels sprouts, kale, collard greens, dandelion root, celery and seaweed. Also dill, cilantro, fennel, green tea, lemons, milk thistle, onion, garlic, wheat grass, probiotics, apples, blueberries, grapefruit, cranberries and flaxseeds. Another way to detox your body through the skin is to sit in a sauna for 30 minutes at 145 degrees; less time if its hotter. You also want to make sure you have as little stress in your life as possible. Every 4 weeks I do what is called a mother nature cleanse. For 5 days, I will only drink water or herbal tea (no sweetner of any kind), fresh fruits, raw veggies (nothing cooked), roasted and unsalted nuts (no peanuts). If having a salad; lemon, vinegar, balsamic vinegar can all be used as salad dressing. When I first did this cleanse, the first day went great, days 2-4, were a little rough. I started to get a headache and wanted to eat cooked food and other foods. But I held out. Now that I do it every 4 weeks, my body has become accustomed to the cleanse and I don’t get headaches any more. I always feel great after the cleanse. A detox/cleanse is great for your body. Don’t do it to lose weight. That is why a lot of people do it. A detox/cleanse is more than just making your stomach smaller or feeling less bloated. It can help to eliminate the toxins in your body. One thing to be aware of is, our liver, kidneys, small intestine and colon has its own self-cleaning system that keeps it working properly. If you are going to do a cleanse, do a natural one where you are eating the foods I listed above. Do your research. If you have an ailment, detoxing may not be something you want to try. When researching products, look carefully at the ingredients. A lot of the products will contain a laxative. If you have ever completed a cleanse or detox, please let us know what your experience was. The good, bad and ugly. Zhivi Williams has over 30 years of experience in fitness. She is the founder of LBX Fitness, LLC, author of Who Needs a Gym? Using Social Media for Weight Loss, speaker and a health, wellness and fitness accountability coach. She has remained on the cutting edge of the health, wellness and fitness industry by developing training programs and meal plans, writing magazine articles and books, developing strategic partnerships to help individuals increase their personal health and providing personal training to help people improve their lives. For more information on her health, wellness and fitness services please go to http://www.lbxfitness.com. 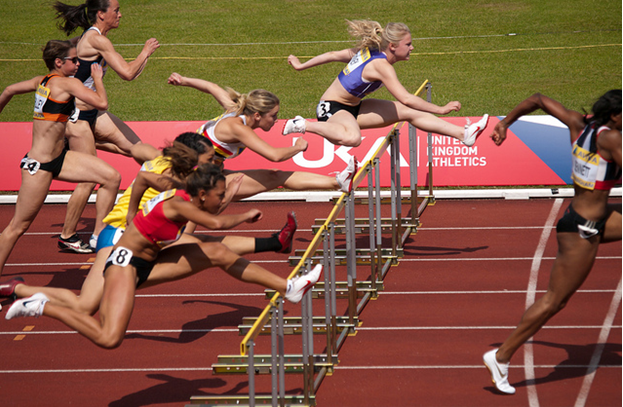 THOUGHT: Did you know that when you’re in a race and you have hurdles to jump over, the only way to finish the race is by successfully jumping over each hurdle. You may bump it or even knock it down, but by jumping over each one you have a chance to win a prize. At the end you may not win by being the fastest but the fact that you finished is an accomplishment to be celebrated. So, whenever you have obstacles with weight loss, motivation, family, etc…face them head on and give your all. Know that your true prize comes when you rise above your obstacles and keep moving forward. The race is not given to the swift nor the battle to the strong but to him that endureth to the end. Always remember that exercising and eating healthy is a lifestyle journey. You will have great days and even weeks and other times they may be bad days or even weeks, but remember you are stronger than your bad days. Always pick yourself up and start fresh. No one has put a time limit on how fast or slow you should take this journey. You are doing this for you, so you can live longer, so you can be there for your children, grandchildren but most importantly yourself. Once your body gets used to eating healthier and exercising you will feel great. Once you change the way you think about what you are eating (not that you have to eat healthy 364 days a year) you will be amazed at the changes you will make in your life. If you start out walking, that is great, it is a start. As your body gets use to walking, pick up the pace and walk faster, then begin to jog/walk, even it is is slow. You will gradually begin to get faster. Never let anyone hold you back or keep you from reaching your goals. 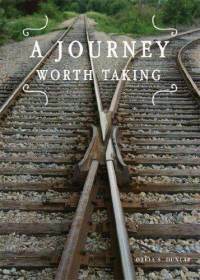 This is an amazing journey with a lot of life lessons. You will learn that you like doing things that you never tried or that you did not like to do and also eat. You can do this. Take it one day at a time. Have you set some goals to reach? Let me be more specific have you set some realistic goals to reach? How do you plan to reach them? There will be many days on this journey where you will have to choose a path, which one will you take? The one that will take you back to the beginning or the one that keeps you moving forward. The choice is yours, chose wisely. When you start your healthy lifestyle journey it is all about you. It is about you losing weight and eating healthy foods. You are trying not to let the cravings get the best of you and not to let people talk you into eating things you know you should not eat. You are battling working out and getting up earlier if you want to workout early in the morning. I have been through this. This can also be an emotional roller coaster. When you fall down, you feel terrible because you didn’t workout or you at the bag of chips or had cookies. Now you are beating yourself up about it. 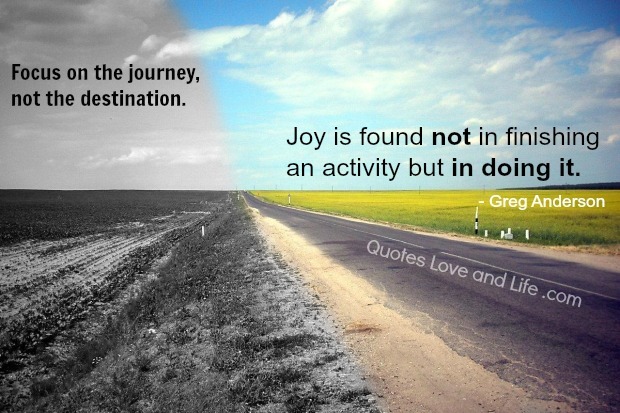 The one thing to remember is that living a healthy lifestyle is a journey. Just like life, there will be good days and there will be bad days, but you don’t give up on live. You learn how to get through those days. On your healthy lifestyle journey if you fall down, get back up. Don’t stay down, don’t bet yourself up about it and don’t let anyone else beat you up about it either. When you fall down, this is when you learn what to do so you don’t fall down again in that area. If you at the chips because you got bored, you know that now. When you start to get bored, do something. Go for a walk, grab fruit to eat or some veggies. You can do it, I know you can. Remember, what you think and say it what you believe. If you say you can’t do something, you won’t do it. Start speaking positive words into your life. You want to speak life not death into your life. Sometimes you have to take this journey alone and that is alright. One thing you will notice on your journey, if you are consistent is, others will begin to ask you what you are doing and how you are doing it. They will begin to follow what you are doing. This is when the journey is no longer about you, but about others around you. 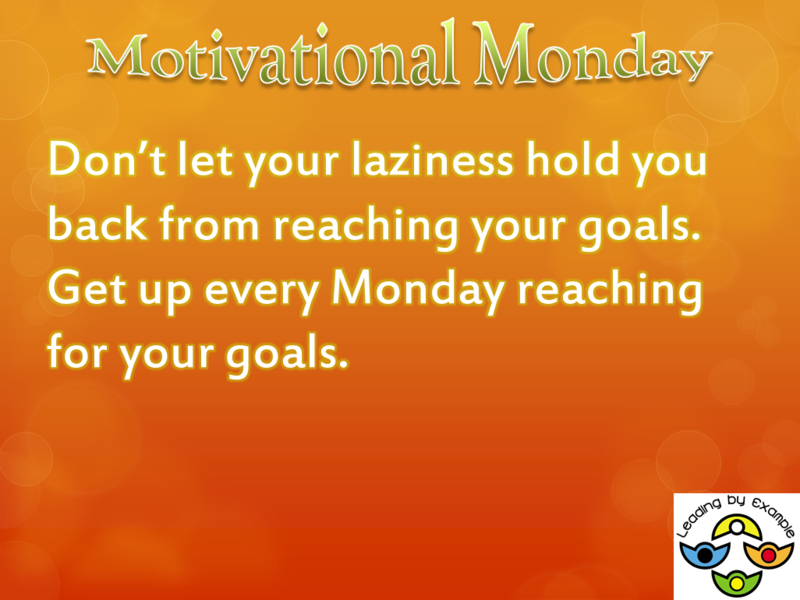 It is the beginning of the week and for a lot of us it is hard to get started after having the weekend off. To help you get your day started, the night before you should set out your workout clothes and shoes. This way as soon as you see them, you are ready to put them on. Next, stop hitting the snooze button, that is not going to do anything but frustrate you once you finally stop hitting it. One of the things I have done is create a motivational board, actually I have a motivational wall. You should create a board and place it some place you can see. Place different things on your board. Where you would like to be in 3 months, motivational words, pictures to keep you motivated, maybe old pictures of yourself, healthy food, etc. You can do this. Starting Monday off right is so important for the rest of your week. You can do it. If you want you can post to this blog to let me know what you did today for your workout. If you would like to know what I did today, click the Workout/Speaking tab. Just to let you know, I workout at least 6 days a week. I would suggest at least 4-5 days a week.